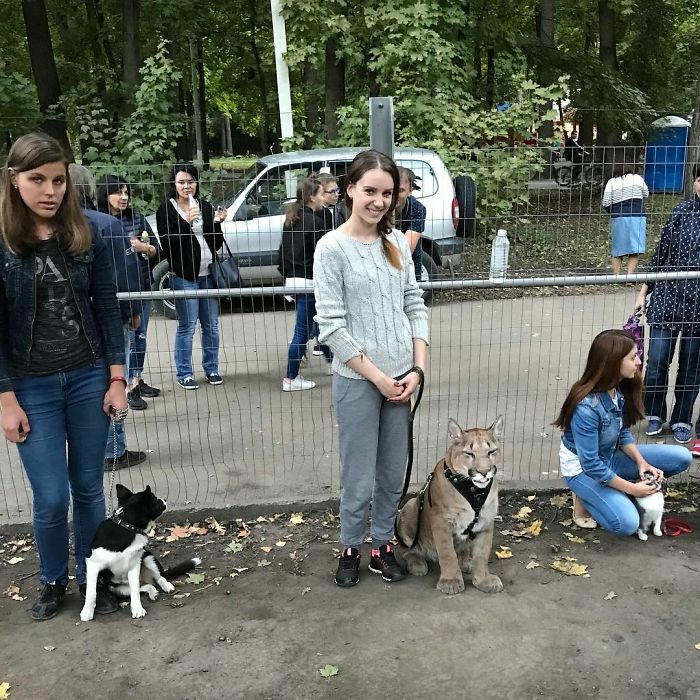 Despite all the doggy articles I post, I do love cats as well, but a young couple from Russia have taken cat ownership to a whole new dimension. 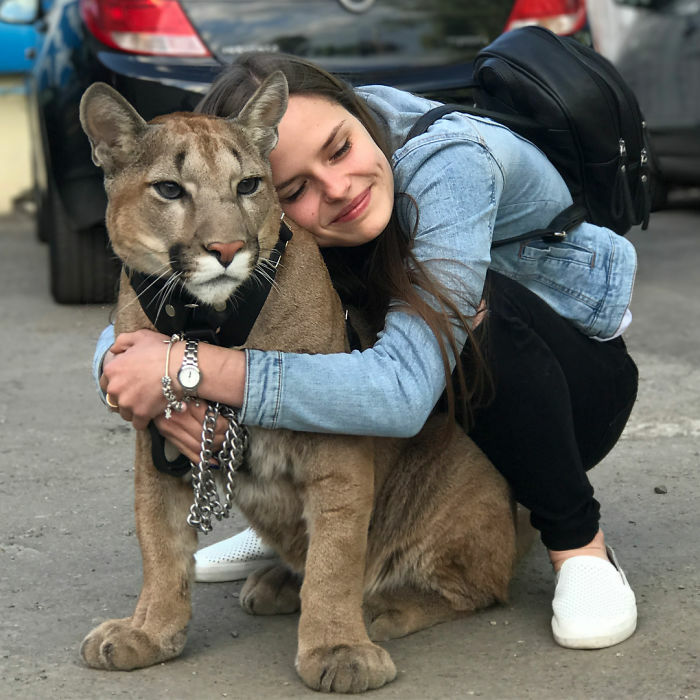 Mariya and Aleksandr Dmitriev share a one-bedroom apartment with a 90lb puma, named Messi, after the soccer superstar. 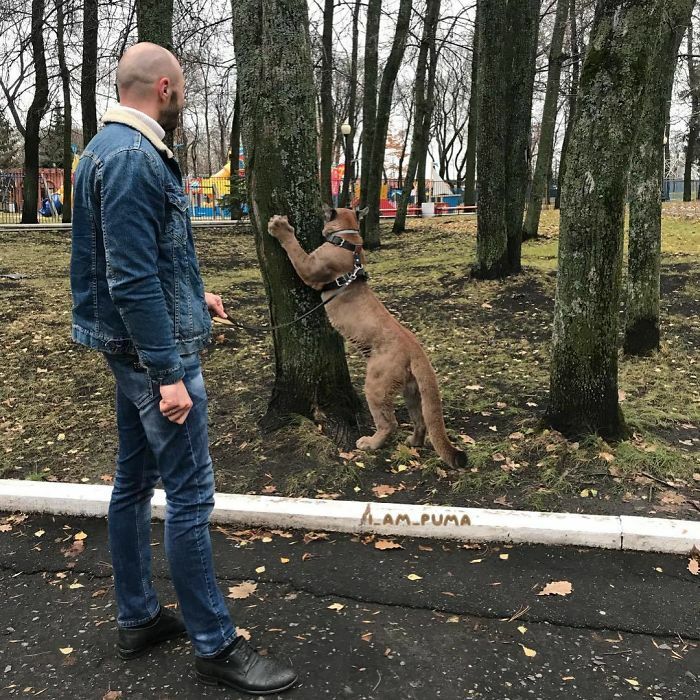 The Russian couple first spotted Messi at the Saransk Zoo in Penza when he was just eight-months-old and decided that they had to have him. He has since become more spoiled and loved-on than any housecat you can think of. Messi was one of three cubs born at the Saransk zoo last year. The other two, Suarez and Neymar, were also named after famous players to celebrate the Russian city hosting four matches of the 2018 World Cup. 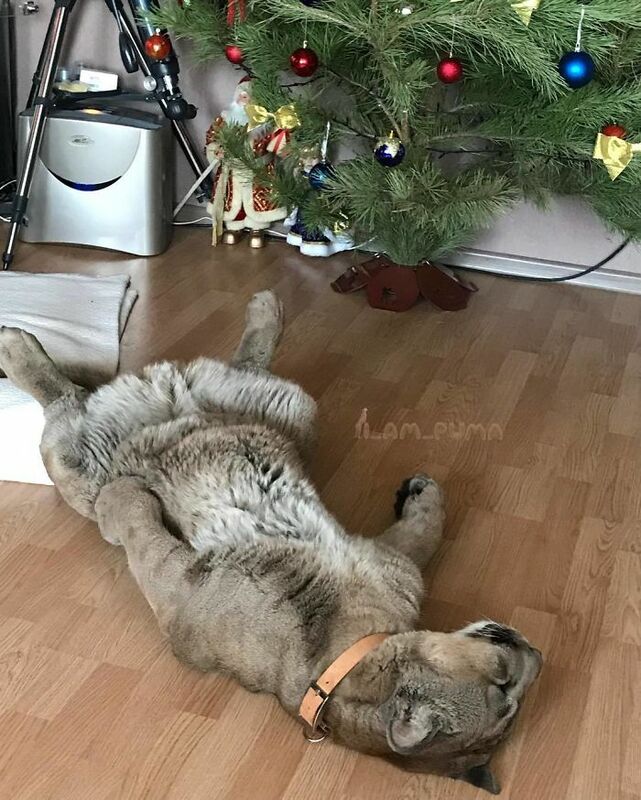 The cub was sold to the Saransk Zoo when he was three months old and suffered from health problems. Enamored with the sickly animal, the Dmitrievs contacted the zoo and asked if they could buy the beautiful creature. Amazingly, they agreed. 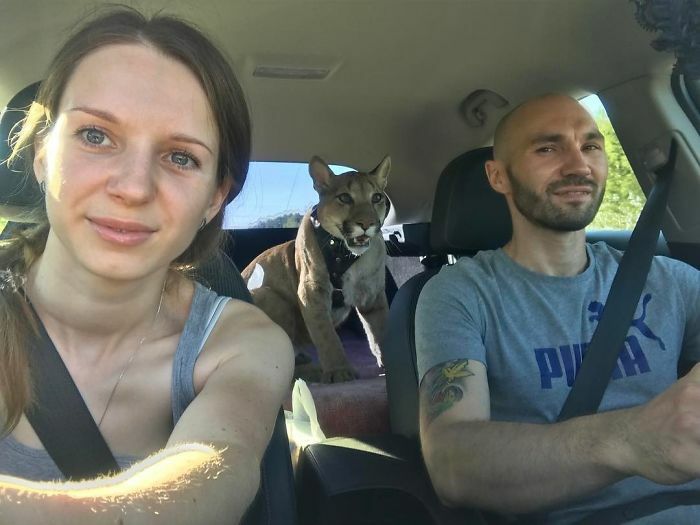 The couple’s decision didn’t come out of the blue, either – according to his wife Mariya, Aleksandr, 38, had always dreamed of owning a big cat. 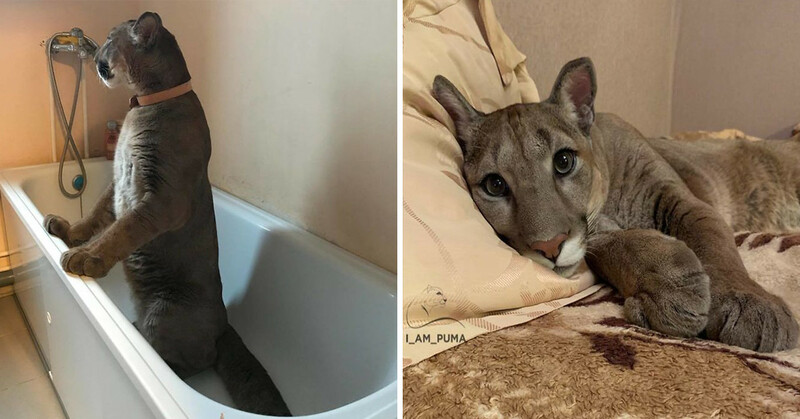 Still, they didn’t take the decision lightly: “We had three days of thinking hard about whether it was moral to keep a puma, and whether it was common sense to have one. But nothing could fight our sudden wish,” Mariya, 28, told the Mirror. Taking on the care of Messi was a challenge in many ways. 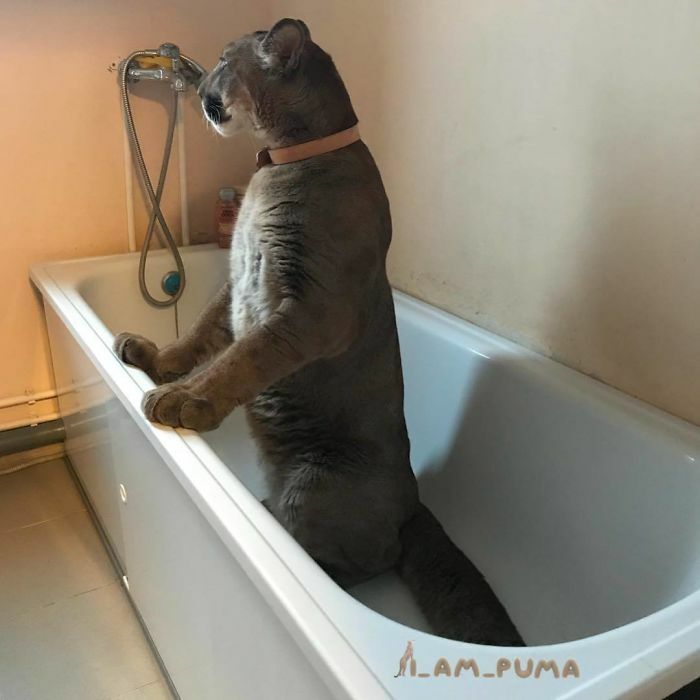 It can be expensive to feed a regular housecat, let alone a 90lb puma. 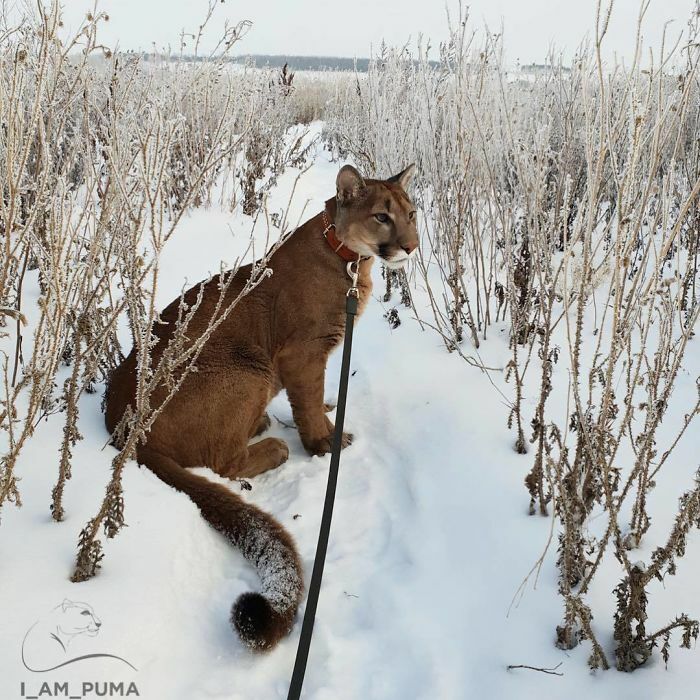 Beyond being a wild animal, and needing all the exercise that comes with that, the cat also needed extra medical attention and care. “He was quite weak and demanded a lot of attention,” said Mariya. 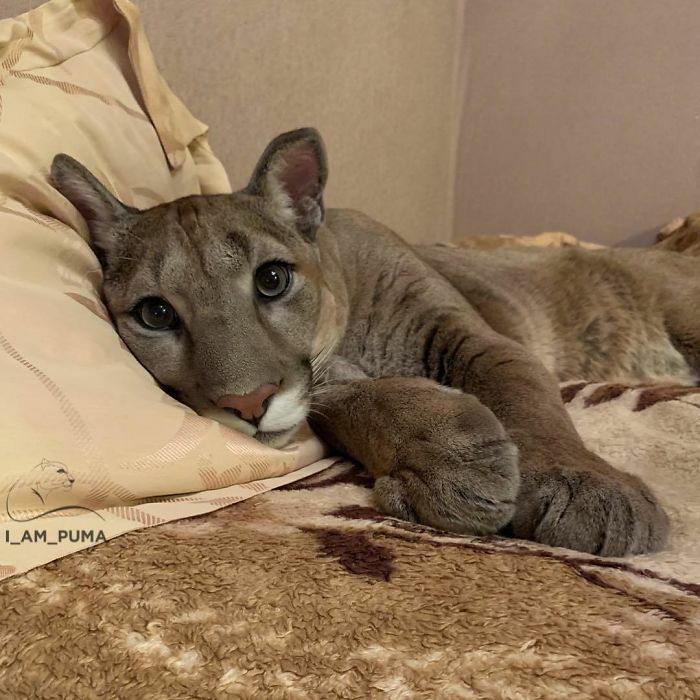 Even though the couple has nursed the cub back to health, he is still only two-thirds of the size of the average puma. I suppose that’s just as well, considering where he lives! Just like any other pet, Messi requires lots of exercise, which is why his human parents purchased a special coat and harness so they can take him on walks. 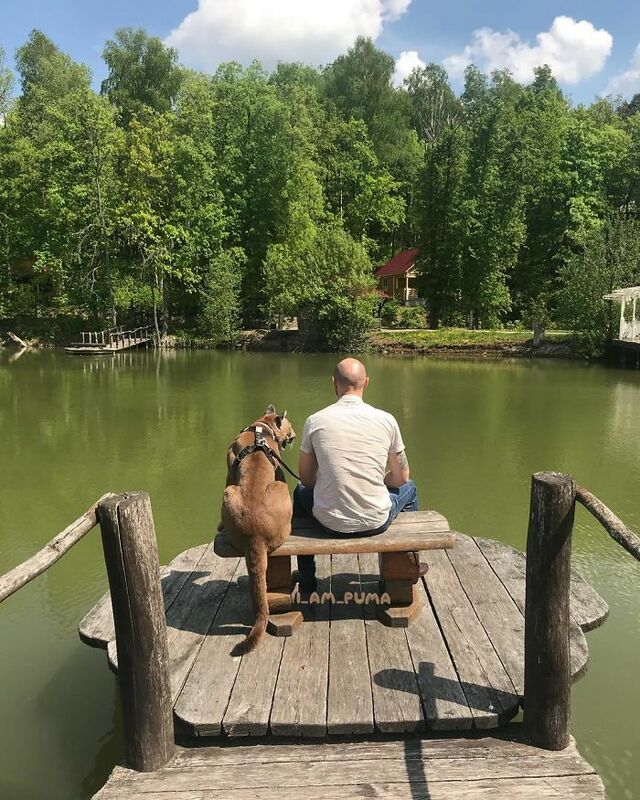 Unbelievably, they also managed to find a dog training school that would let Messi attend, and he now responds to about 10 different commands. 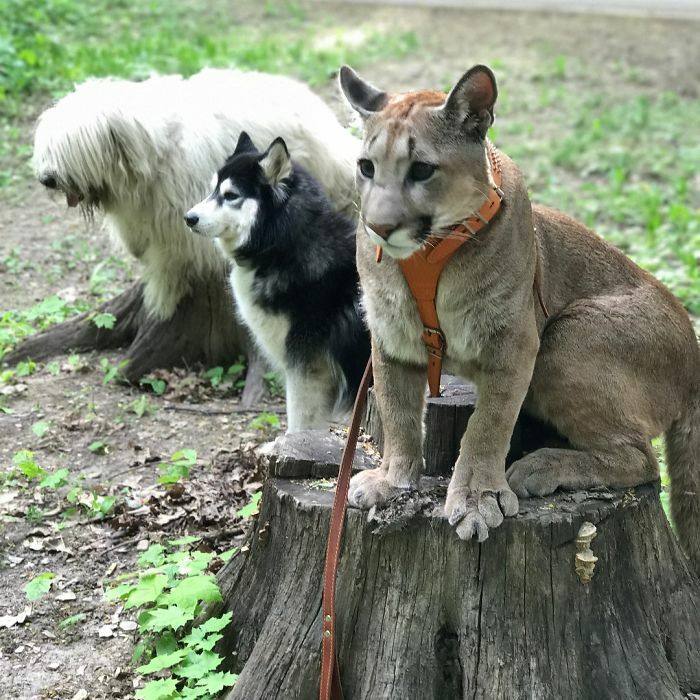 Look at him being a good boy with the other good boys! 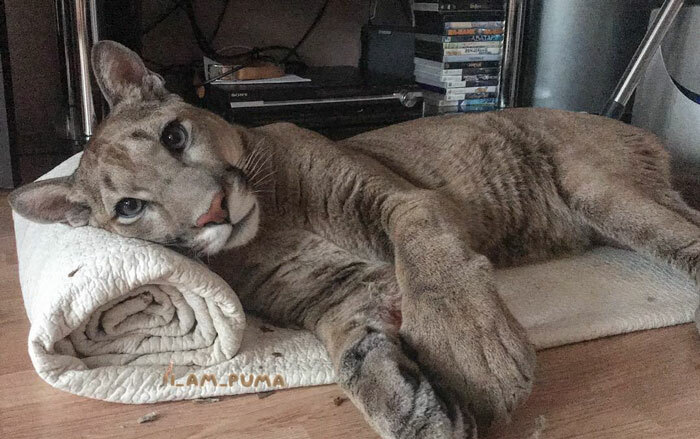 Having a puma in your house is a special thing, so the Dmitrievs document their life with their ‘housecat’ across social media. 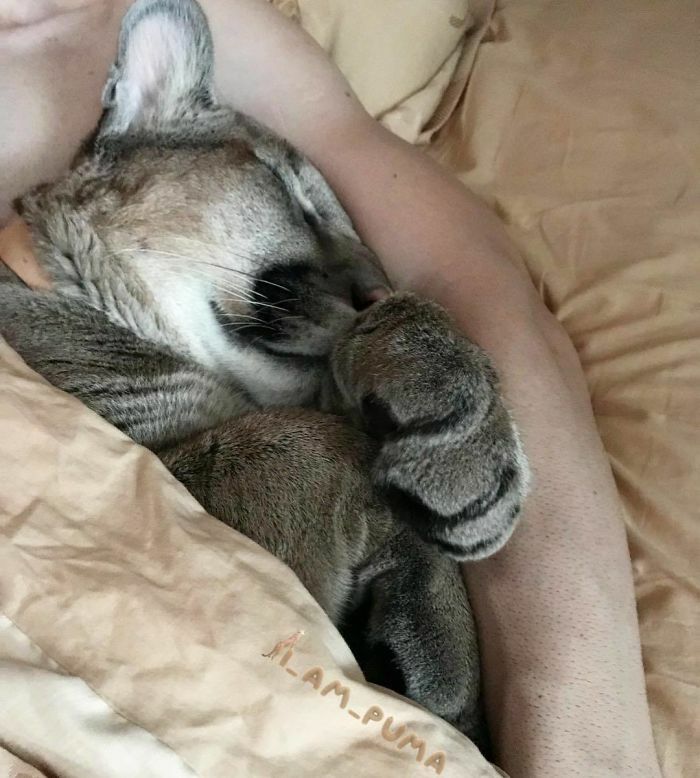 Messi the puma has over 500,000 followers on his @I_am_puma account, with more fascinated cat lovers following every day. 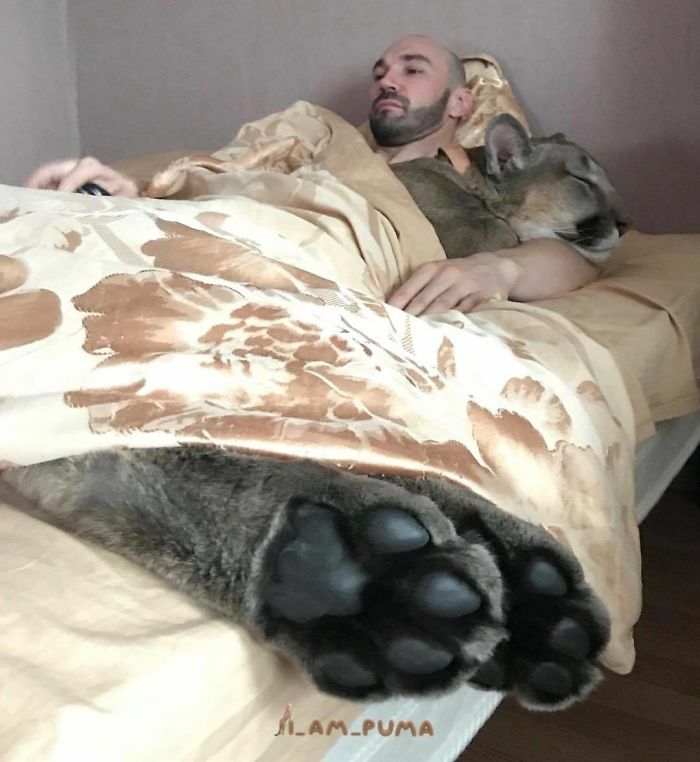 Even though the couple only lives in a one-bedroom apartment, they have done their best to accommodate their large companion. 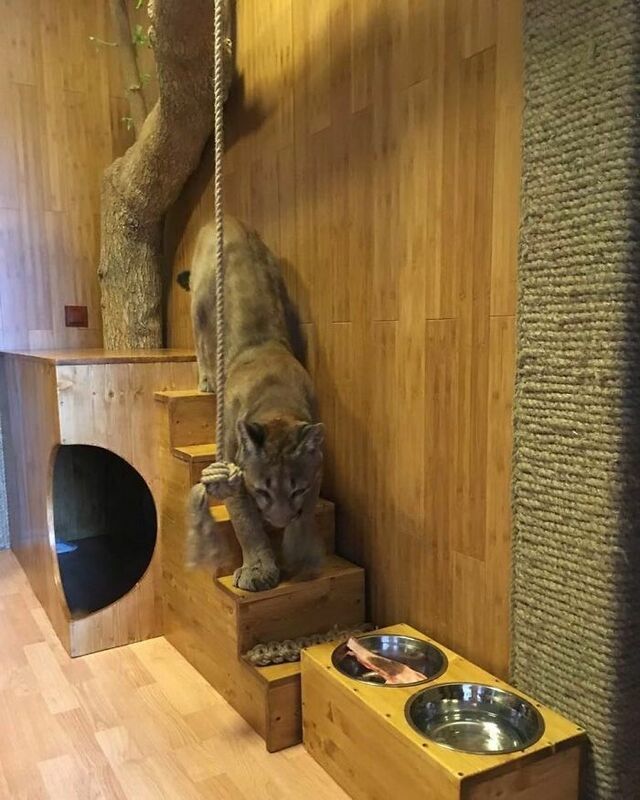 Such as converting their hallway into Messi’s den – complete with a tree, bamboo walls, and a hiding hole. It’s really quite impressive! 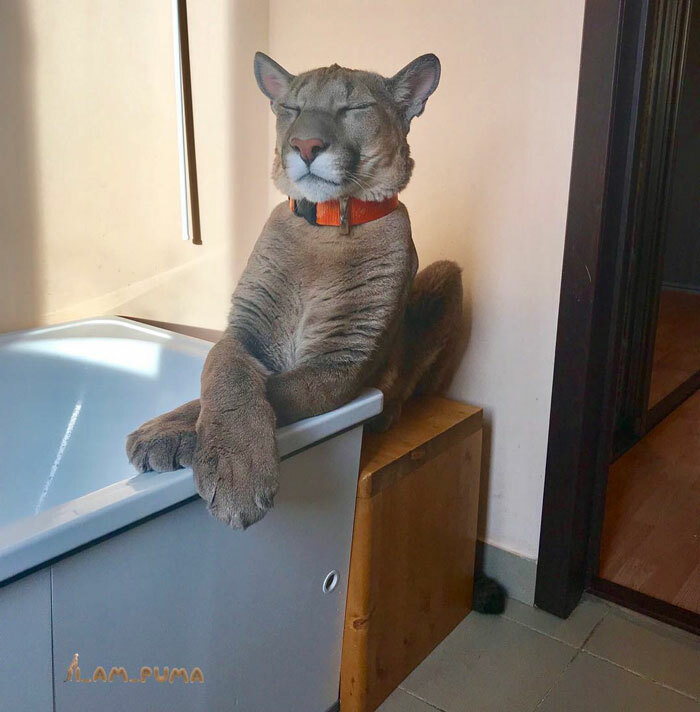 “He is just an ordinary cat, but a big one. He has all the habits of a cat,” says Aleksandr. Judging by these pictures, it’s hard to argue with that! 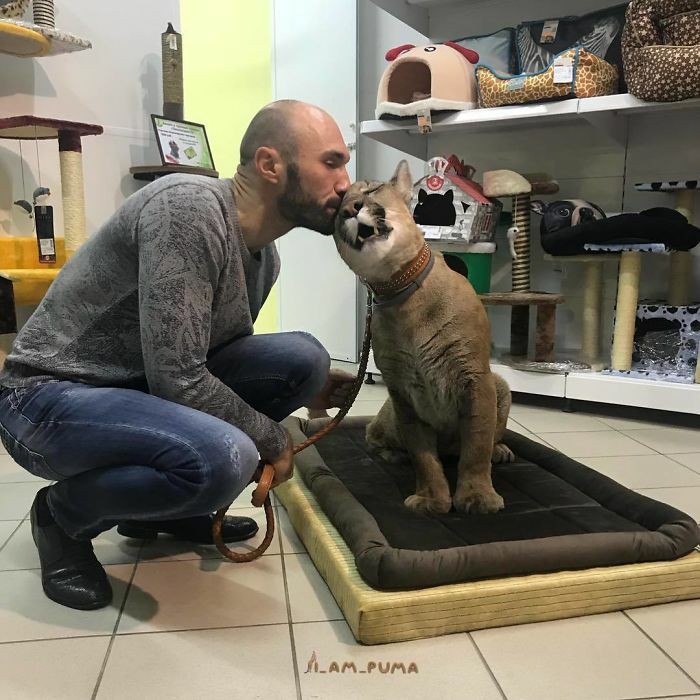 As you can imagine some animal and environmental rights activists have objections to the Dmitrievs keeping an exotic animal in their home, believing that Messi belongs on a wildlife reserve or in a sanctuary. However, it’s pretty clear from these pictures that Messi is one happy boy. In fact, he is so pampered that the couple believes that he would not survive alongside other animals. 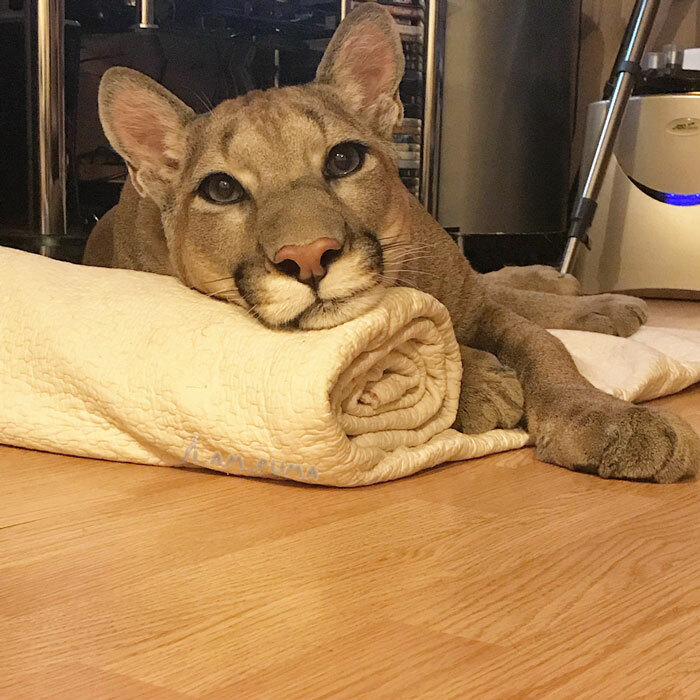 After all, he has never lived alone in the wild. His chances of survival would not be helped by his relatively small size, either. 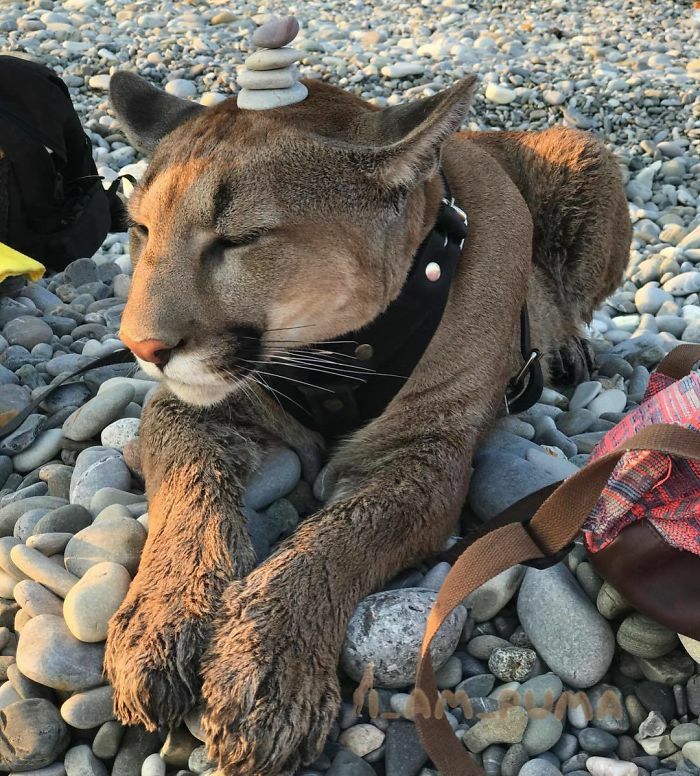 The couple acknowledge that there are risks to their safety in keep Messi, but say that they’re prepared to take that on board to care for this beautiful animal. He sure is. Here’s wishing Messi and the Dmitrievs all the best for the future!